Using an SSL certificate allows secure communication between Xcalibur W server and the remote devices. SSL certificates can be self-signed (generated by IIS) or delivered by a certification authority. 1. Open the IIS management console and navigate to the level you wish to manage. 3. In the Actions zone, click Create a self-signed certificate. 4. On the Create a self-signed certificate page, type a friendly name for the certificate in the Specify a friendly name for the certificate field and then click OK. Caution : Self-signed certificates provide an average level of security. Additionally, these certificates are only valid for one year if they are created by IIS. 3. In the Actions zone, click Import. 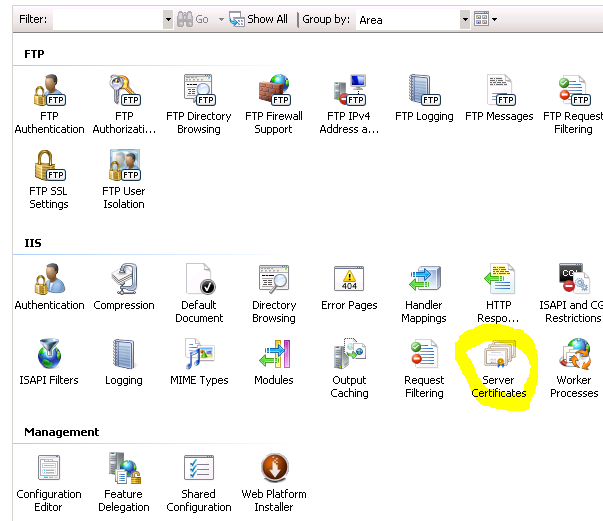 Type a file name in the File certificate field, or click Browse and navigate to the certificate file. If necessary, enter the password in the Password field. Tick the Allow this certificate to be exported box. The Settings page (Views > Manager Options > Settings) is where administrators select the IIS SSL Certificate to be used to secure communication between agents and server. 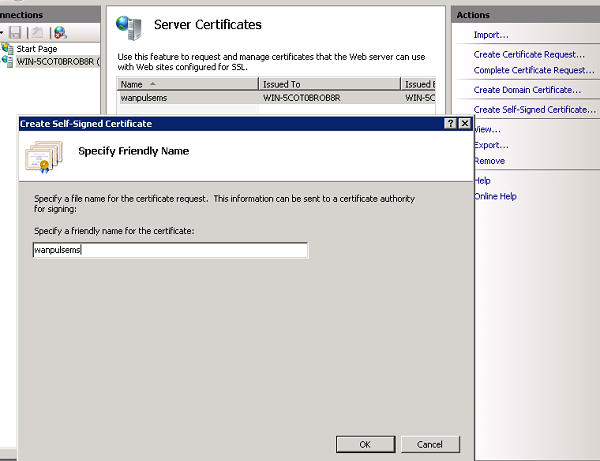 Each certificate available on the IIS server is shown as a separate entry within the SSL certificate table, as shown below. 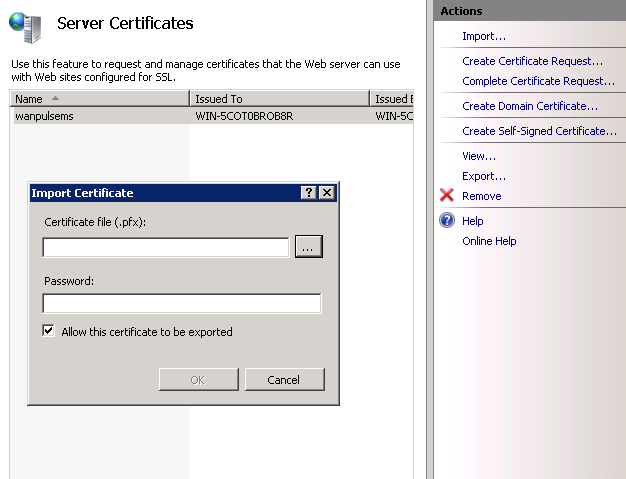 The certificate marked Active ( ) is the one currently in use on the server. The first time Xcalibur W Server is launched, there is no active certificate configured on the server. Devices cannot be enrolled until the SSL certificate is configured. Ensure an SSL certificate is marked as Active as shown below. Refer to the Manager Options section to get more details on changing SSL certificate.